DAVOS, SWITZERLAND — Bill Gates warned at the World Economic Forum on Thursday that a new form of terrorism could be coming and that we are not prepared for it. The Bill and Melinda Gates Foundation is part of the Coalition for Epidemic Preparedness Innovation, which focuses on creating vaccines that could stop the outbreak of future diseases. And while the organization has about $700 million to work with, Gates worries it won't be enough to stop a related threat. Bioterrorism, or terrorism involving the purposeful spread of epidemics, could become a serious issue, Gates said, arguing that we need to start figuring out how to combat it now. "What preparedness will look like for intentionally caused things, that needs to be discussed," he said. "It's very hard to rate the probability of bioterrorism, but the potential damage is very, very huge." 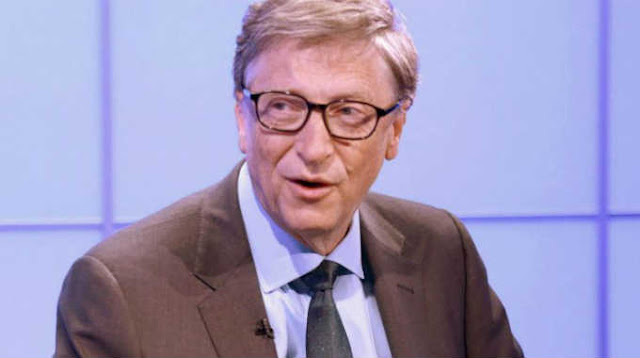 Gates spoke about the dangers of both intentional and natural epidemics at a World Economic Forum event earlier in the week, and he plans to discuss the issue in detail at a Munich conference in February. He voiced the same concern in March during a Reddit Ask Me Anything session: "The problem of how we prevent a small group of terrorists using nuclear or biological means to kill millions is something I worry about," he wrote. Gates' message is beginning to be taken seriously, at least among his tech peers. Sam Altman, the president of the Silicon Valley startup accelerator program Y Combinator, told The New Yorker's Tad Friend that he and peers would occasionally discuss how the world would end. One of their most popular theories, he said, was bioterrorism. "After a Dutch lab modified the H5N1 bird-flu virus, five years ago, making it super contagious, the chance of a lethal synthetic virus being released in the next twenty years became, well, nonzero," Altman said. Gates said governments would need to get involved and work together to prevent bioterrorism because epidemics, he said, "don't respect borders." "It's tricky because this is a global problem," Gates said. "So, how do countries work together, and which countries should put up which resources? Whether you're looking at this through a humanitarian sense or a purely domestic sense, [combatting epidemics] are investments that should be made."